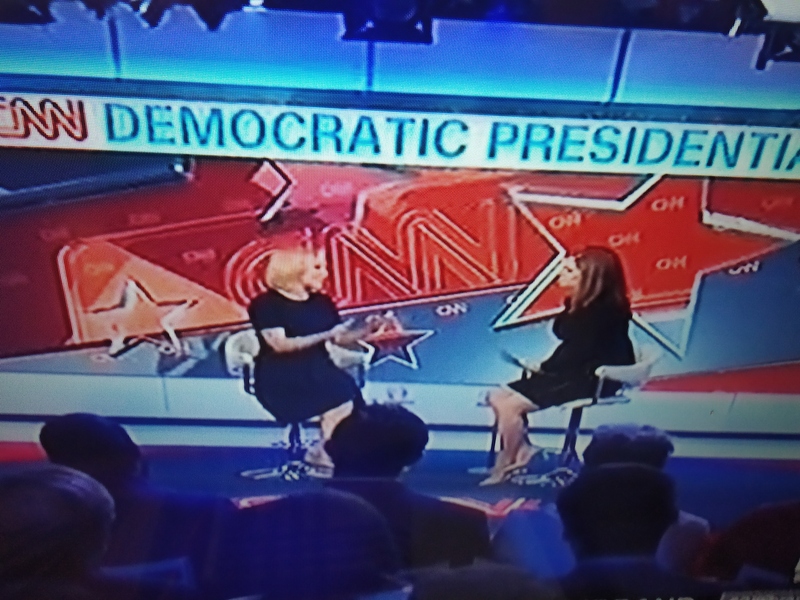 ” CNN Town Hall with Sen Kirsten Gillibrand – Bringing America back to World Stage ” – April 9, 2019. 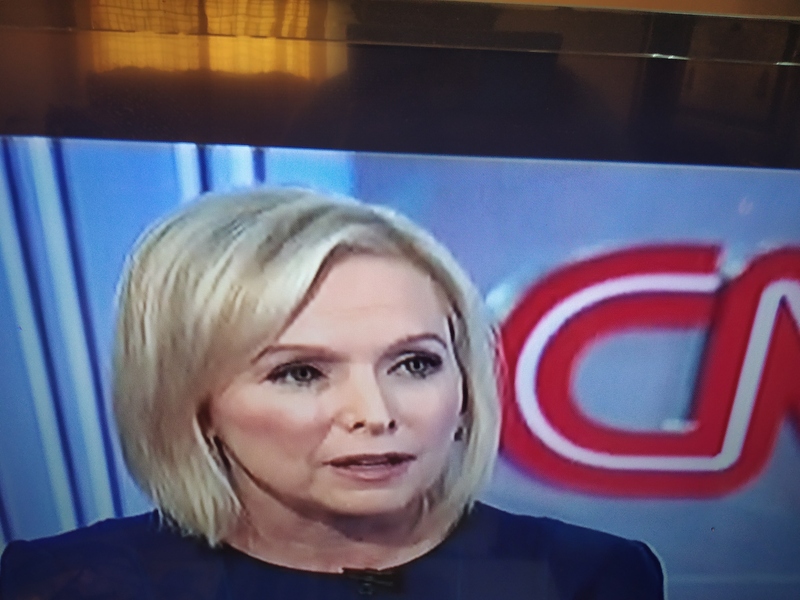 Tonight’s CNN Town Hall featured the calm and composed Democratic Senator, Kirsten Gillibrand, from New York. It was held in Buffalo State College, New York. Senator Kirsten Gillibrand, New York. 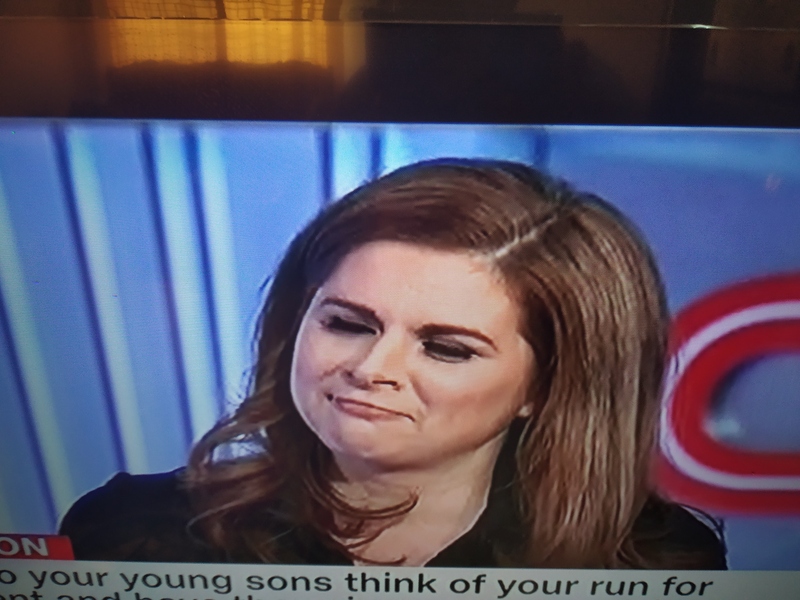 Erin Burnett of CNN, Moderator. Erin Burnett of CNN moderated the event. The audience questions covered the usual ones as in the previous similar town halls. Immigration, health, education, social services, gun control, criminal justice system, women’s rights, and governance. Foreign policy has been the missing topic. She declared her candidacy for the Democratic nomination for the President of U.S.A. in a rally in the shadow of Trump Hotel in NY on March 17, 2019. Quite significant is the fact that her drive and motivation to engage in the primary served well to answer all the questions of the event. 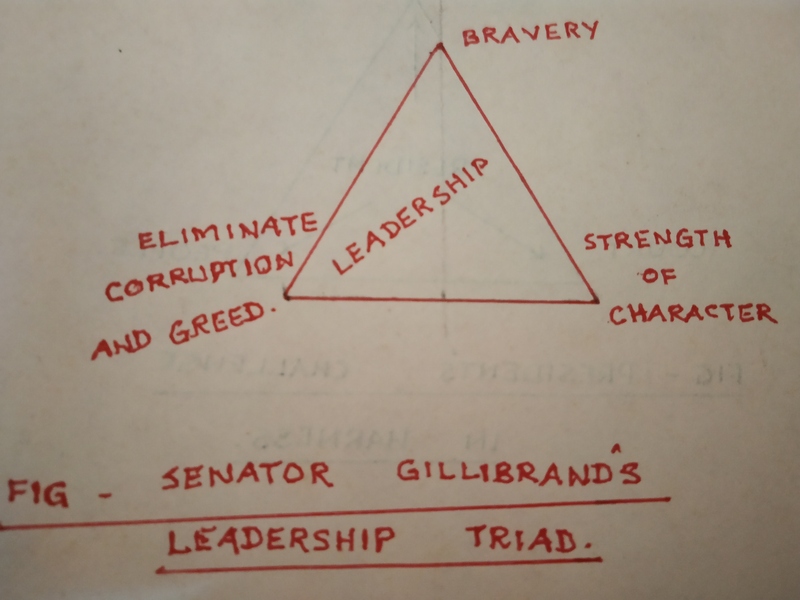 The three ingredients comprising her leadership style are (a) bravery, (b) strength of character, and (c) elimination of greed and corruption. She said : ” The governing system is broken now ; moral fabric needs repair ; and rebuilding bonds between Americans more than necessary now ” – these are the three things that need to be fixed urgently. When you reject hate and division, hope rises, fear loses, and most importantly “bravery” wins. Hence, she has taken the plunge. She added, President Donald Trump tears apart the moral fabric of the country, demonises the vulnerable, and punches down. He is not strong, he is weak and is a coward. We need a President who is worthy of ‘bravery’. So, I am running for President. You need to listen, learn, empathise, grow, and become stronger. Donald Trump is unwilling to do it. The administration now represents greed and corruption that need to be eliminated. Then only our strength of character will emerge stronger. This is what we need now and this is what leadership should establish. 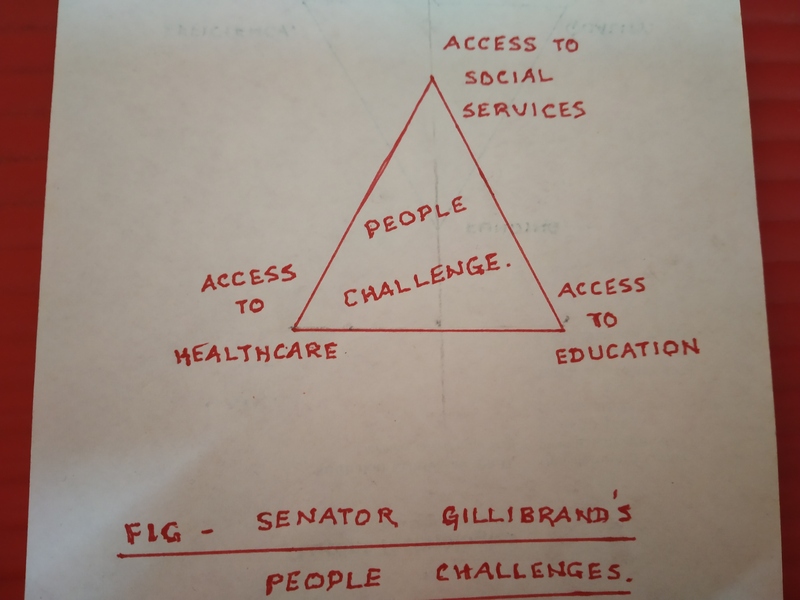 The three major ingredients of her People Challenge comprise : (a) access to social services, (b) access to healthcare, and (c) access to education. She explained in terms of the growing number of people aspiring and participating in the system in respect of all the three, adding that funding and necessary infrastructure development will form the major challenges to implement. She pleaded for a strong government role in the process. Her briefing on these three aspects drew a special applause ( perhaps the most inspiring aspect of the whole event ). 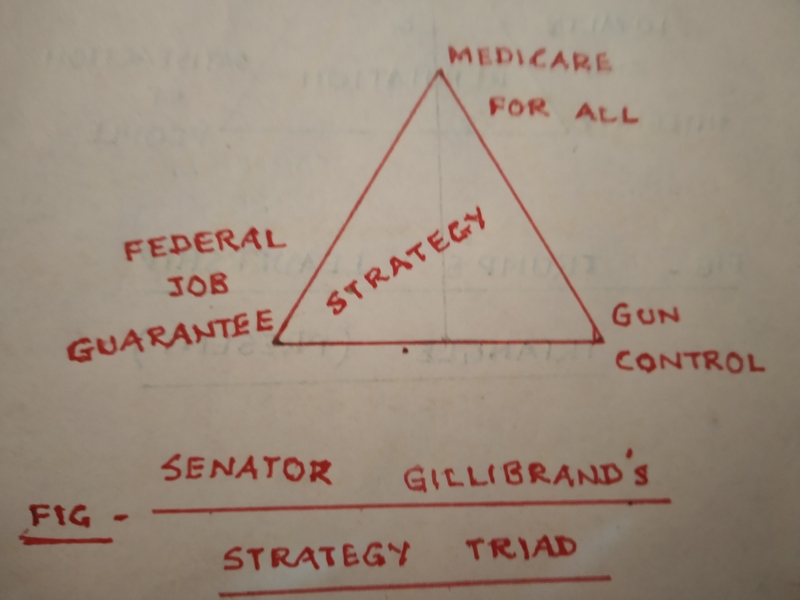 The three key ingredients of her ‘Strategy’ triad comprise – (a) Medicare for all , (b) Federal Job Guarantee, and (c) Effective Gun Control. Healthcare is a right and not a privilege as any other democrat says. Defending ACA, Reducing drug costs, and making insurance companies accountable will become the chief action plan in achieving the goal. According to her ‘gun violence research fund’ will be a positive move because government can establish an integrated public health system agenda to understand the causes of gun violence and identify the most effective strategies for prevention. Investment to grow jobs will be the third pillar constituting the strategies triad. 1. She is for a leader who will speak up and fight for people rights while proceeding against the administration’s ‘cruel policies’ toward Women, Muslims, LGBTQ community, and immigrant facilities at the border. 2. Right through the Town Hall proceedings she has been unconstrained and self assertive with emotional stability, without being aggressive, driven only by her sense of conviction and yet proving to be a force in standing up to the broken system thus defining the characteristic of her strength. 3. She sounded quite certain and positive in all her answers. She remained as sober, sedate, and rational in her defense as she has been in her stability, acknowledgement, and presentation of reasons for her stance on issues. Conclusion : The main conclusion is that America now , more than ever before, presents the greatest moral, ethical, and economic opportunity to pick what a leader would want. She took the example of John F Kennedy’s dream of putting a man on moon – he wasn’t sure he would, but he was sure about the organising principles and the mission that can accomplish the dream. In a similar way, the fundamental principles and mission objectives are fully present for today’s leader and his/her dream. Tidbit : ” Women’s rights is Human rights ; Human rights is Women’s rights “. – Hillary Clinton as told by Kirsten Gillibrand in this event.